Industrial reverse osmosis systems are complex systems, but they are certainly worth the investment if you have the right application. And a surprising number of businesses and individuals find that they would benefit from the technology. This technology has been commercially viable since the 1970s, but it has matured in a number of ways since then. Here are five things you should consider when purchasing a reverse osmosis system. When you need water for industrial use, you may not be able to rely on the tap. If your municipal water feed has known issues like rust, calcium, and contaminants, select a reverse osmosis system that is designed to handle the problems you know it will be dealing with. If you have to pull water from a well or lake, you need to test the water to know what contaminants are in that water supply. Any reverse osmosis system you pick must be able to filter out those contaminants if they are a problem when they reach your processes. Click here to learn more about how reverse osmosis works in general. You should understand the different techniques available to remove various contaminants. Ultraviolet lights are good for killing bacteria, but RO/UF technology is better for filtering out whole dead bodies. Also, consider the seasonal variability of the quality of the water. For example, in some areas, the wet season means more organic fouling. Or the summer means you need to take more precautions against algae. Note that you can design a system that meets your needs but have a water analysis done before you go shopping to ensure that you select one that will work. If you need water for an industrial application, it is possible you can’t get enough from the tap. You may need water from a bulk source like a river or pond. Any reverse osmosis system has to be able to process the volume of water you need at the speed you require. You don’t want to go for the cheaper, lower volume system since your clean water production will probably have a direct impact on the production capacity of your plant. Also, take future production plans into account. There’s no point in buying a 30,000 gallon per day system if you know you’ll need 50,000 gallons per day in a few years. Another factor is wastewater production. How much wastewater will the unit generate, and how much can you handle? The environmental conditions the reverse osmosis system works in affect its performance – and it can affect your purchasing decision. There’s no point in paying for a solar-powered water filter system if you live somewhere where there isn’t a lot of sunlight. If you’re installing reverse osmosis systems in areas subject to extreme weather, you want reverse osmosis equipment that is rugged enough to survive that hurricane or sandstorm. If you’re in a colder climate, does the reverse osmosis equipment need to be able to handle freezing weather? Remote monitoring and remote control are generally useful since it frees up technicians to handle other tasks, only checking or repairing the reverse osmosis system as required. If you’re installing the reverse osmosis systems in remote areas, remote monitoring and remote control are essential. At the other end of the spectrum is the environmental impact; some customers want to minimize wastewater production. Too many businesses make the purchasing decision based on the initial cost of the equipment. They don’t consider related costs at the time of installation or ongoing maintenance costs. If you’re signing a purchase contract, will you be able to outsource some maintenance costs to the supplier? If you have to finance the reverse osmosis equipment purchase, what is the interest rate or monthly payment? How much power will the unit require? Will this be offset by other costs like your reduced water bill? If the unit significantly reduces wastewater production and the associated costs, then a more expensive unit may be worth it. Conversely, greater wastewater production may be tolerable if you dramatically reduce your water bill. Don’t forget to factor in the upfront costs cost of installing new pipes, foundations or ducts or training in how to use the system. Another issue is the cost of chemicals required. 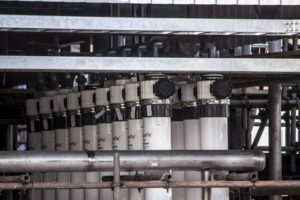 If a new reverse osmosis system eliminates the need for pre-treatment, the reduced ongoing water treatment costs may make the more expensive system a better deal. A factor many people don’t consider is the cost-effectiveness of the system over its expected lifespan. A cheaper system may cost less up front, but it will need to be replaced sooner. Look at the cost-effectiveness of the system over a multi-year period. Furthermore, the cost-benefit analysis must include maintenance. A more expensive system that resists scaling and fouling is better than one that has to be shut down for maintenance or ruins final product because of poor quality water. Another issue is the water quality. If you cannot compromise on water quality, you can’t afford a lower quality system that may not deliver what is truly needed. If you have to take additional steps to ensure water quality, that offsets the deal you got on cheaper water filtration equipment. Another factor is the final price per gallon of clean water produced. You generally pay more for increased capacity, but the true apples-to-apples comparison is the final price per gallon produced by two systems. A single large unit may end up being a better bargain than two, smaller and cheaper units connected together to meet the same production quota. Don’t forget to run the numbers based on varying loads. Since you’ll be getting far cleaner water via a reverse osmosis system, you may find that it is no longer the choke point in operations. If you increase production by 10%, what is the overall price you pay per gallon? Clean pure water is not just a requirement for life – it may be the lifeblood of your business operations. 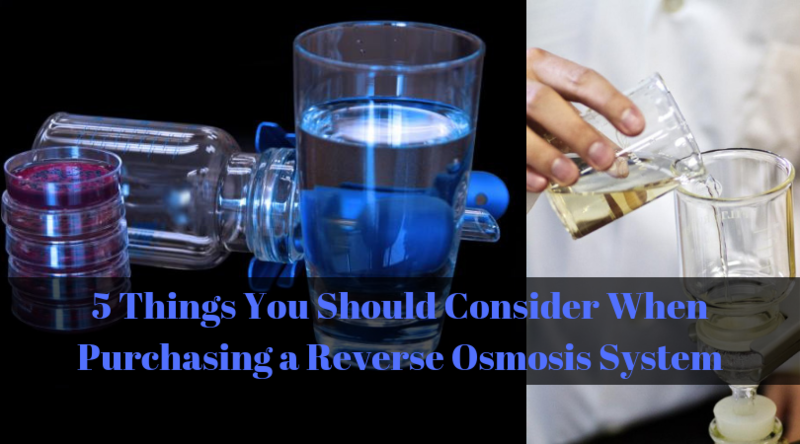 Look at all of the factors you need to consider before purchasing a reverse osmosis system. You can’t afford to make a mistake. P.S: If you enjoyed resing this article, please add your comments below. 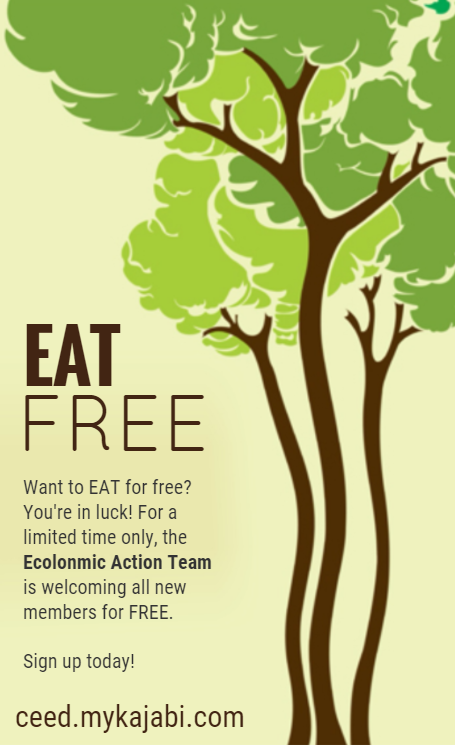 Also, Join our EAT FREE Community where you can make some money, making the planet better.